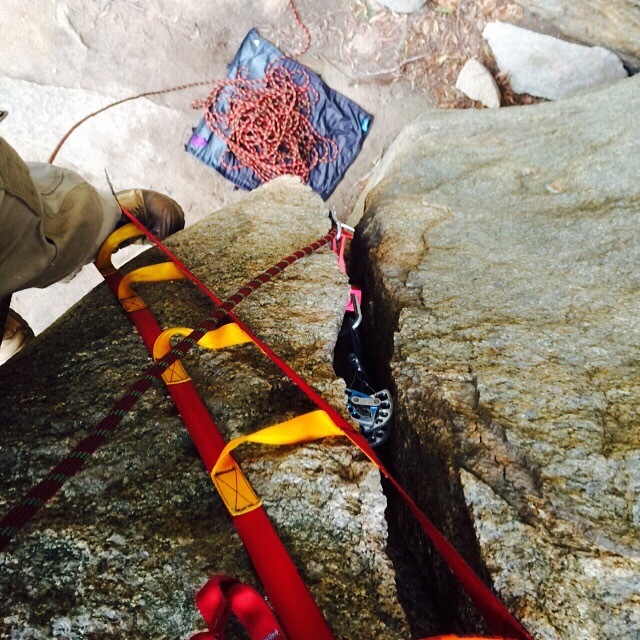 This was LittleHammer’s first real climb on Sunday, after many field tests. I was solo aid climbing at my local crag and LittleHammer got all the jammed nuts and hexes out easily. These placements where bounce-tested and fully weighted; aid climbing sure teaches you about placing pro! I have to admit to being shy to weight nuts in the past due to bad memories of epics hacking away to get stuck gear out while on an awkward (desperate) stance. With LittleHammer I have no worries now, even well jammed RP’s or operating left-handed is easy. LittleHammer performed perfectly cleaning the pitch in no time. It also retrieved a well stuck tricam that someone had abandoned, so I’ve been calling it the “Booty Master”. All round this day gave me the confidence to go public with LittleHammer after working on it for almost a year. So here we go, let your climbing friends know their nut tool has been superseded.